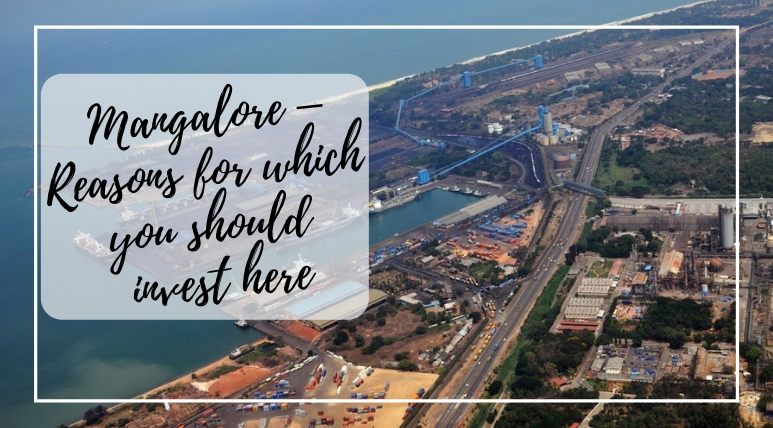 Mangalore is a developing South Indian, which is marking its name in a different style amongst the leading South Indian cities like Bangalore and Chennai. Its glory has been increasing every day and as the commercial sector has been developing here in a rapid speed, the day is not too far away when it will leave behind several other prosperous cities in India. In the increasing fame of Mangalore, its real estate sector has also played a vital role. This ever-developing segment in this magnificent city has been in the current form from recent few decades and from then it has never shown major downfalls. The increasing demands for quality housing have always remained on the high note and this is why the realty market is continuously growing. The remarkable city has also been favoured for its pleasant climate, outstanding infrastructure and great connectivity. One of the major reasons to prefer this city for luxury living is the abundance of employment opportunities and a calm, quiet and less-polluted environment of the city. Although, it is not a metropolitan it has none in short of any resources which are required for a prosperous lifestyle. Education facilities, shopping destinations, healthcare facilities, food marts etc. every facility is easily available here. 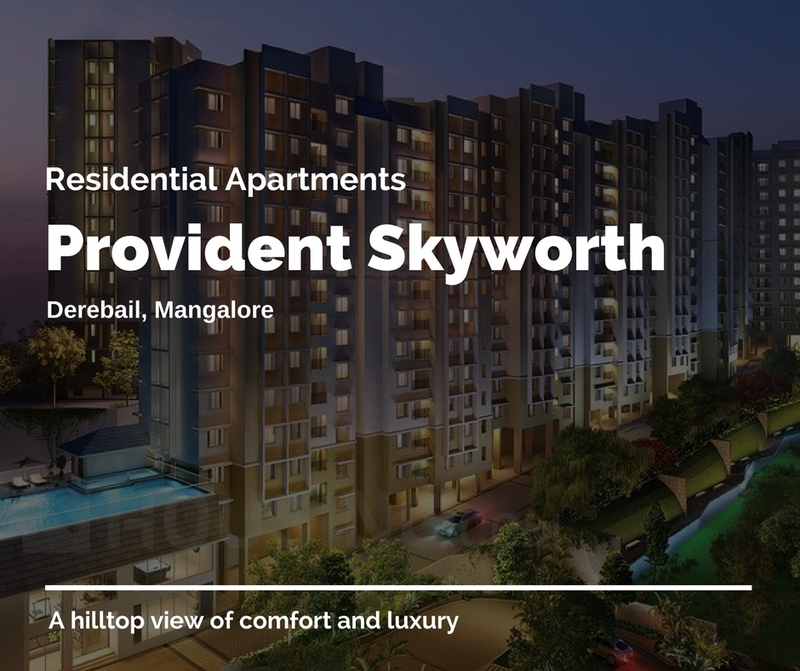 With outstanding features and specification, a great project Provident Skyworth is getting overwhelming responses from the customers these days in Mangalore. The reason behind its popularity is its uniquely designed homes and wonderful offerings. The project has been successfully passed all the parameters used to define the green living construction, earthquake resistance and other important features. With various certificates from renowned organisations, there is everything perfect in this luxurious township. In 3 BHK configurations, the beautiful homes are available in different sizes and have been perfectly designed with sophisticated interiors. They have premium electrical ports, cables, wires, switches and branded sanitary wares with great quality of tiles used in the floorings including wooden/ceramic/anti-skid and ceramic tiles. Kitchens here have multiple provisions and all our latest and up-to-date. Top quality wooden gates and windows have veneered finishing and furnishing. 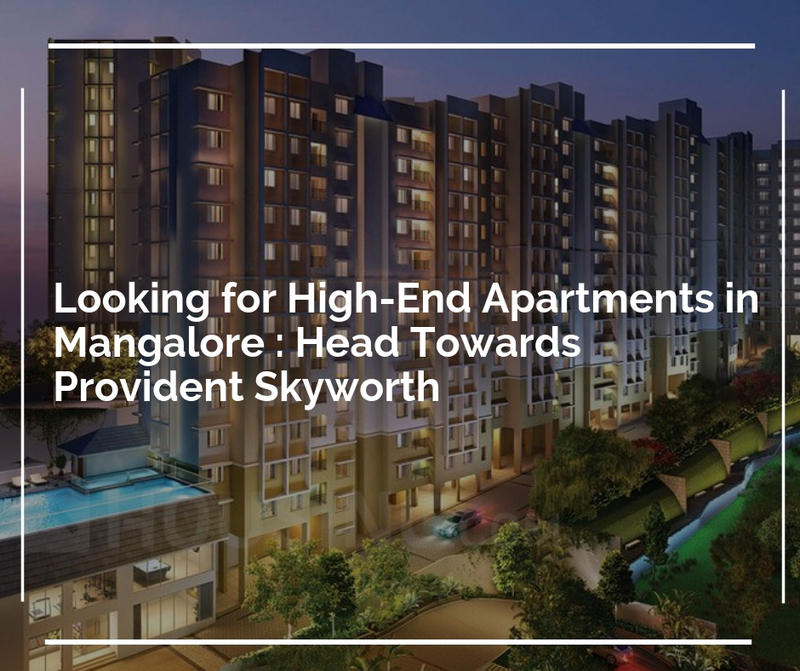 Another important feature of Provident Skyworth Mangalore is its great location which provides seamless connectivity to the residents. The smooth and rapid transportation system around this region offers easy travelling to the residents. The project has close proximity to several schools, hospitals, shopping malls etc. To provide the residents with a quality lifestyle, there are many luxurious amenities available here. Some of them are terrace a swimming pool, relaxation zone, supermarket, table tennis/billiard courts, toddler’s play area, open badminton court, crè the, jogging track, video security, gymnasium etc. Buyers can also avail several offers on the great and exciting Provident Skyworth Price which starts from Rs. 59.00* lakhs onwards.